In a digital environment where high-profile data breaches, social-engineering exploits, identity theft and tech brand damage, enabling strong IT security is a business-saving requirement. gotoBilling leverages data security and regulatory compliance, integrated into their payment application infrastructure, to help protect customer accounts payable and receivable process. Their application – powered by a secure, enterprise grade cloud managed by Armor – offers gotoBilling customers elite performance and benefits integrated with security management. gotoBilling is more than a secure payment service. It’s the full package. Enterprise grade security is only part of the gotoBilling strategy. The company also emphasizes next-level dedication to regulatory compliance. 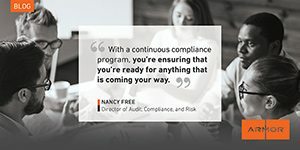 While some competitors only offer a temporary Qualified Security Assessor (QSA) who acts as a consultant through PCI audits, gotoBilling has internal teams whose core responsibility is to manage the client’s company compliance posture. The teams are completely certified and dedicated by the PCI Security Standards Council. The combination of gotoBilling’s dedicated regulatory compliance team and Armor’s architecture make it a best-in-class approach to security. Learn more about gotoBilling, their products and practices by reading the “Currency from the Cloud” case study.